To celebrate this special occasion, Aniplex of America will host a US Premiere Event on December 3rd at the Egyptian Theater in Hollywood, CA. This is a unique opportunity for fans to be the first to watch the Madoka Magica movie as well as experience a visit from production crew members. Additionally, those who purchase a U.S. Premiere ticket will receive a exclusive gift bag which includes a Madoka Magica mini autograph board, the movie guide book and a Kyubey cell phone stand. 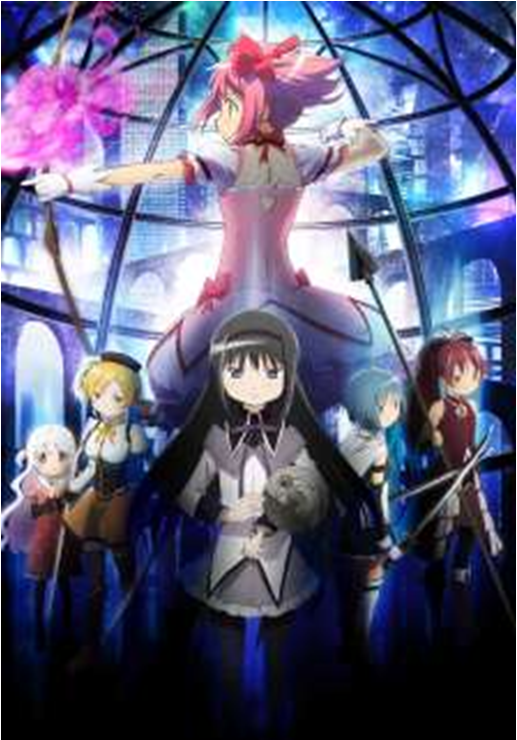 Exclusive Madoka Magica the Movie merchandise will also be on sale at the event. Tickets for the US Premiere Event go on sale on Tuesday, October 15th at 10:00AM PST at MadokaMagicaUSA.com/rebellion. Aniplex of America Inc. (Santa Monica, California) is a subsidiary of Aniplex Inc. (headquartered in Tokyo, Japan), a group of Sony Music Entertainment (Japan) Inc. and a leading provider of anime content and music production and distribution in Japan. Aniplex of America has launched fan-favorite DVD and Blu-Ray releases such as Bakemonogatari, Durarara! !, Puella Magi Madoka Magica, the Garden of Sinners, Sword Art Online, Blue Exorcist, and Blast of Tempest. The company’s ever-growing line-up of shows includes our most recent titles Monogatari Series Second Season, Day Break Illusion, SERVANT x SERVICE, Silver Spoon, Oreshura, Kill la Kill, Samurai Flamenco, and Vividred Operation.